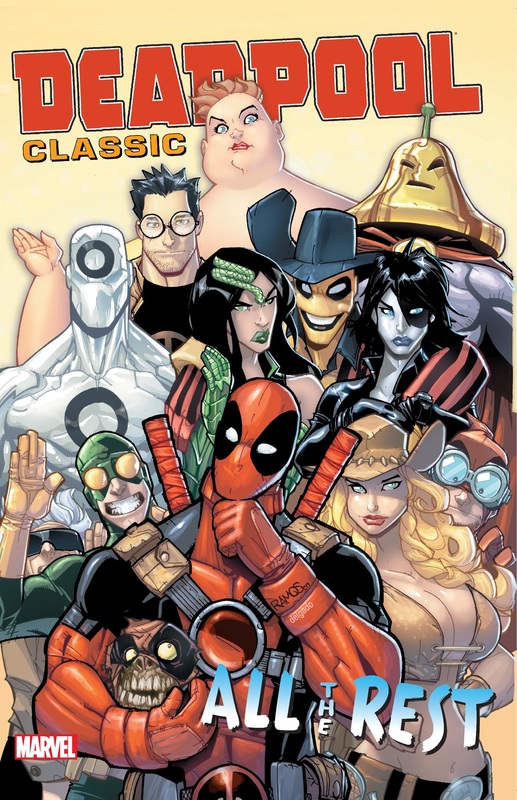 It's the latest and greatest volume in the increasingly flexibly named Deadpool Classic series! 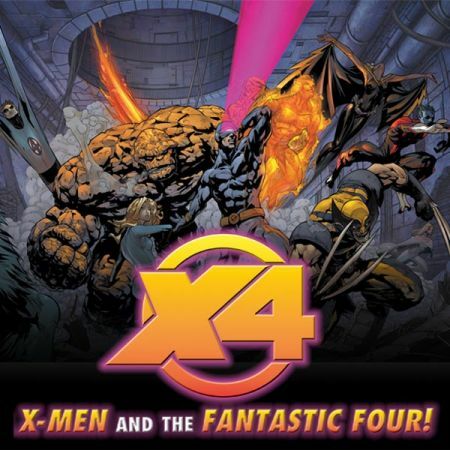 The ever-sociable Wade Wilson is back - rubbing shoulders with his bro Cable, laughing it up with his other bro Wolverine, and forging an all-new bromance during Fear Itself with...the Walrus? 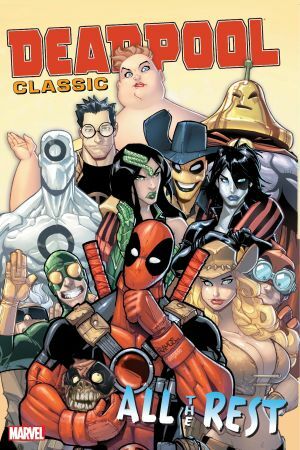 The Identity Wars take Deadpool, Spider-Man and the Hulk on a long strange cross-dimensional trip, but what twisted reflections of themselves will they see? And in the wake of Steve Rogers' return, will Wade Wilson become the new Captain America? (Spoiler: no.) 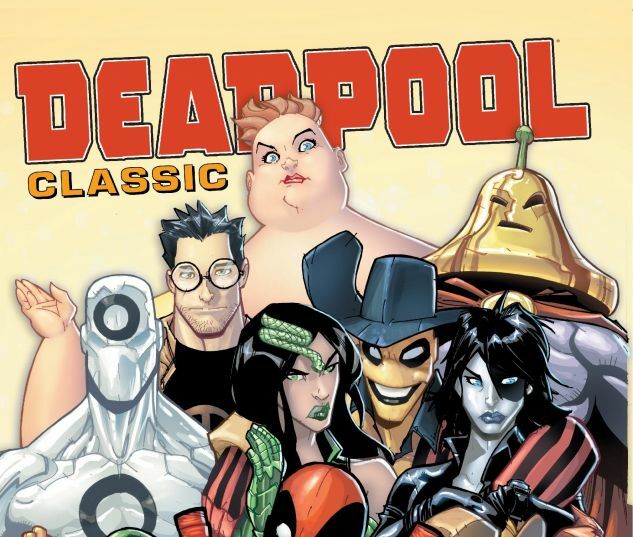 Learn all there is to know about Deadpool and friends, right here! 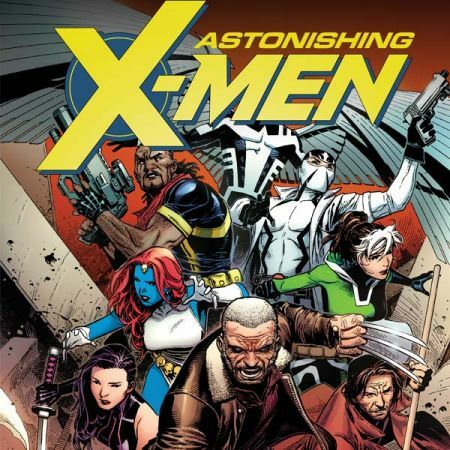 COLLECTING: CAPTAIN AMERICA: WHO WON'T WIELD THE SHIELD #1, CABLE (2008) #25, DEADPOOL & CABLE #26, AMAZING SPIDER-MAN ANNUAL #38, DEADPOOL ANNUAL (2011) #1, INCREDIBLE HULKS ANNUAL #1, WOLVERINE/DEADPOOL: THE DECOY #1, FEAR ITSELF: DEADPOOL #1-3, DEADPOOL CORPS: RANK AND FOUL #1.